Another must-have in the growing area of online business includes a pre-configured SEO and high-quality linkbuilding. On-site SEO, referring to search engine optimization, allows your potential customers to easily find and contact you. The correct use of keywords in your texts will increase the position of links to your company in searches, meaning that customers will be more likely to notice you. Linkbuilding is basically about creating backward links, and remains one of the most important aspects of optimization for search engines. The created links all point towards your website, which means customers can also reach it more easily. A high-quality link profile also increases the value of your website. How do we proceed during SEO optimization? We characterize the customers and your target group. We carry out keyword analysis and propose changes in the website content. How do we proceed during linkbuilding (off-site SEO)? We analyze your link profile, positions. We agree on and set a monthly budget dedicated to linkbuilding. We create and publish content for relevant websites with links to your website. And we do our best to remove all toxic links. Basic SEO optimization of a new website already during its creation. 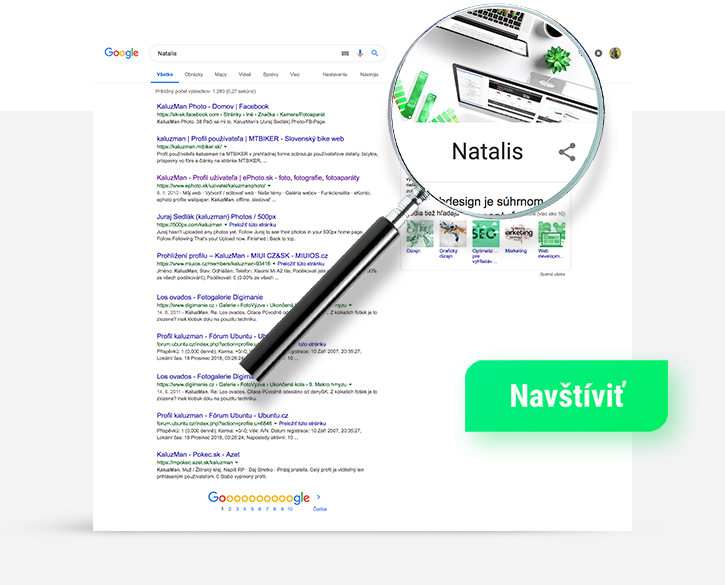 Keyword analysis, on-page SEO website optimization, linkbuilding on the Slovak and Czech market. On-page SEO optimization, text editing, linkbuilding on several European markets. Improving search positions for blogs in one of the most competitive areas – in iGaming. Customers: Grisio media Ltd., Digital Gorilla Ltd., NATALIS, s.r.o.